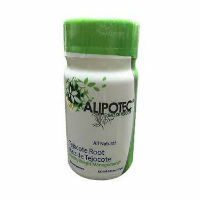 Alipotec Tejocote Root is apparently an all-natural way to lose weight and trim inches from your waist. The manufacturers also claim that their supplement is FDA approved. Each bottle contains 90 small pieces of the root, which is native to Mexico and is part of the Hawthrone family. It is derived from the root of a fruit Crataegus Mexicana. Ingesting Alipotec Tejocote Root supposedly cleans and detoxifies the body, curbs hunger, improves skin and hair and controls hair loss, reduces the risk of colon cancer, lowers the risk of knee pain, heart disease and osteoarthritis, lowers cholesterol and triglycerides in the blood and helps to eliminate fat by transforming it into energy and gradually releasing fat through waste, among other benefits. If this product sounds a little too good to be true to you, you’re not alone. There is no clinical evidence to support its health or weight loss claims. There are side effects that may be experienced when taking Alipotec Tejocote Root. This may include upset stomach, gas and flatulence, especially on the first day. Muscle aches and stiffness may also occur and this is reportedly due to the elimination of accumulated fat. Apparently in some cases users may notice small bumps in their body. For instance, women may notice this under their breasts. However, this is apparently normal as fat accumulates before it is eliminated, according to the official Alipotec website. The official product page also claims that Alipotec Tejocote Root is safe for children age 12 and up to use in micro doses every 3 days and that it is also safe for the “elderly”. In spite of what the site recommends, you should never give this product to a child without first consulting with your healthcare provider to make sure it is safe. Furthermore, what is also unsettling is the statement: “Since Alipotec is 100% natural, therefore everyone can take it.” It goes on to claim that “we have excellent results with people with hypothyroidism, people with cancer, hypertensive people.” And also states that since Alipotec is natural it won’t interfere with any medication. For starters, simply because something is natural, this does not make it safe for everyone. Natural does not mean safe. There are plenty of herbs that can cause nasty and even dangerous side effects for some people, including this one. Secondly, there is no proof that the manufacturers of this product have had excellent results with people suffering from these health conditions. Moreover, even if they have, this doesn’t mean that you should take this product without first consulting with your own healthcare provider and you certainly shouldn’t believe that just because something is natural that it won’t interfere with medication. Definitely speak with your doctor before taking Alipotec Tejocote Root if it is something that interests you to find out if it is safe for you and your current health condition. Finally, while Alipotec Tejocote Root claims to be FDA approved, other than on the product’s official website and on sites where it is sold, like Amazon and eBay, there is no proof that it has actually received approval from the U.S. Food and Drug Administration for weight loss or any other condition. This entry was posted in Non-Prescription Diet Pills Reviews and tagged Crataegus Mexicana on October 23, 2016 by Diet-Pills.cc.